Sherwoods understand that children of all ages have a fascination of the night sky. Developing this interest to allow them to view objects in our solar system gives greater understanding of our universe. The range of scopes we sell for younger astronomers are fully working, good optical quality instruments than can be used to obtain clear images of the Moon and brighter objects in the night sky. All scopes are equipped with easy to use mounts and accessories. 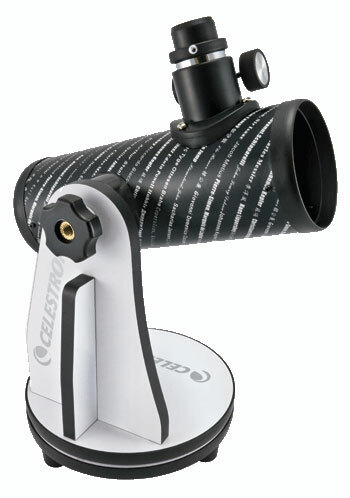 The FirstScope is a quality Dobsonian style telescope features a 76 mm aperture reflector optical tube. 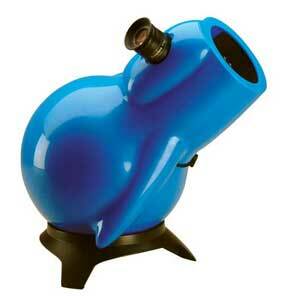 FirstScope is an ideal entry level astronomical telescope. It is very easy to observe with, the user simply navigates the night sky by moving the tube in the direction of their desired object, making the viewing experience a snap! The compact design makes it easy enough to take with you on your next outdoor adventure. FirstScope is also stylish enough to be a decorative fixture on your bookshelf or desk. The attractive Sky-Watcher INFINITY-76 telescopes house the Aspherical Technology usually only found in larger, more expensive telescopes. The primary mirror is altered during polishing to bring the light rays onto a common focal plane, resulting in sharp images full of detail. The INFINITY-76 collects 131% more starlight than the average 50mm toy telescope, bringing hundreds more objects into view. Its intuitive up-down, left-right maneuverability makes it a perfect user-friendly telescope for children. Setting up the telescope is so easy that it is almost ready right out of the box, allowing your children to easily explore the exciting universe to their hearts' content.